As you all know, I LOVE my rundisney races and I LOVE to be in costume. I have many races coming up (Dumbo Dare, Wine and Dine, Avengers, Dopey and Star Wars) so I am trying to start the costumes early so I can gather all of the things I need on sale and make great costumes. So here is what I have so far! The Dumbo Dare has 2 races. The 10k on Saturday and the half on Sunday. Well this is the first 10k to be repeated so it looks like going forward there will be a new theme every year! I first saw Stitch on the training plan. And it looks like its correct after seeing the medals. I will be going as lilo in her Hawaiian outfit! I&apos;m thinking I can make all of the hula things or buy them from a party supply store. I will going as Dumbo inspired for the half. hat-haven&apos;t decided what kind yet. I&apos;m thinking yellow hat with a red stripe and a feather?? I will be running as Captain America for this race. (get it? first avengers half=first avenger!) Having the movie come out has helped A LOT getting this costume together. I am pretty much done with this one! Our group will be going as Frozen so I will be reusing my frozen costume! end of the line-gotta dress as the name sake!! With Star Wars weekend added, I have 2 more costumes to think about! Lordy Lordy! Half-I think I&apos;m going to shoot for Princess Leia as I am buying and making things all white for Bacchus so I might as well make it easy on myself! I will just need to buy a blaster, cinnamon bun hair (my hair is way too short for that!) and a silver belt. What are your upcoming rundisney races? What costumes will you be wearing? THURSDAY-5k. i haven't run 3 miles during the week in a very long time! Overall, I did okay. I need to get back into stretch training. Today was the first day I didn't feel completely sick waking up (and strangely a lot of my friends and coworkers are feeling the same way! Must be the weather and something going around). I am also in the planning phase of creating an every day workout that will involve squats, abs, planks and stretching. I will update when I have it completed. How did your week go? Any big plans for this week? I have been holding out on this! I didn&apos;t grocery shop at all on 6.19.2014 so it&apos;s really just 2 weeks. Lunchable (so unhealthy but I have a soft spot for them)-25 cents. Cheap dinner! And a bag of Starbucks coffee for 1.10!! I got a lot of food this week but a majority of it was fresh and I plan on having an epic weekend of cooking and also lots of recipes to come! What food did you buy for the week? Gotta love eating at work! Bulletproof coffee (1 TB of butter and 1 TB of coconut oil), strawberries, yogurt with cinnamon, chia seeds and flax seeds, and green smoothie (made with spinach, bananas, strawberries, blueberries and chia seeds). I get asked often what I eat for breakfast. I usually have a "large" breakfast but I split it up between home and work. Before I head to work, I always have a glass or 2 of water along with eggs. I usually average 1-2 eggs/day along with either bacon or sausage. I leave my house at 8:05 every morning to get to work. If I have a regular run (2-3 miles before work), then I just have half a glass of water before heading out the door. Longer runs on weekends, I have fruit and peanut butter and oatmeal. Then when I get to work around 9:05, I get settled for the day and grab my food. Plain Greek Yogurt (unless I'm carbloading then I will get some with added sugars). I add in flax seeds, cinnamon and chia seeds to help with protein as well as flavor. Tea or coffee-I usually drink tea all day at work. Usually once a week I will have coffee (like today). I alternate between about 5 different types of tea depending on my mood. I also don't like strong tea- I usually can get 3-5 cups of tea out of 1 teabag. Sometimes I will switch it up and have a bit of leftovers for breakfast or even make tea or coffee (real bulletproof with coconut oil, butter, vanilla made in a french press and blender). And then I have lunch between 12:30-1:30 and dinner between 6:00-8:00 (depending on if it's at work or at home). REMEMBER: Wednesday is double ad wednesday! you can double dip from the week before! As always, check your Just for You account. I got the following deals: fruit, veggies, and coffee. 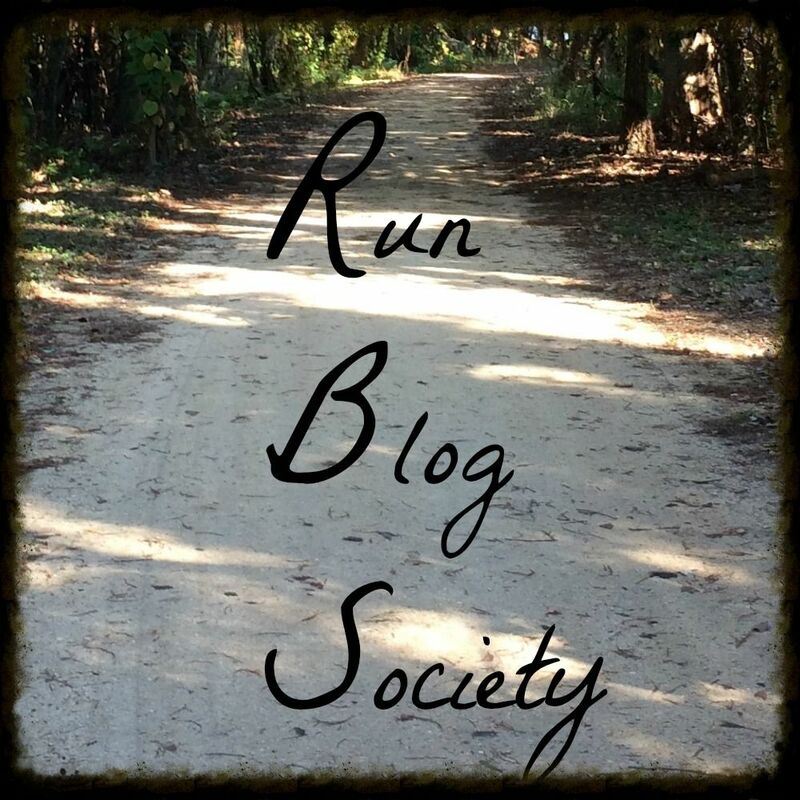 Another Tuesday on the Run hosted by our favorites: April from Run the Great Wide Somewhere, Erika from MCM Mama Runs, and Patty from My No-Guilt Life. Praise to God because I haven&apos;t had many serious issues but I have had a few. Let&apos;s review what they have been, what I did to heal and what I learned from them. After my first half marathon in 2010, I had horrible IT band issues before, during and after the race. I was over trained(such as running a full 13 miles the week before-6 on the treadmill and 7.1 on an elliptical) and under prepared and I ended the race with ice packs on both of my knees but at least I finished. What I learned-my body is not made to run all the time and I also learned the importance of road running (yes, I did all of my training on an elliptical and treadmill!) and Also about foam rollers and their importance. I try and roll every day. The more I roll, the better shape my legs are i. Seriously I was stupid for that race. Thank goodness, runDisney became runDisney so I had a training plan for the 2012 races! After a great Tink 2012 race, I kept pushing forward and decided to run DL 2012 again. I figure I would be in much better shape (training plans!!) but that crashed and burned as well. I never got tested for it but I had horrible pain and couldn&apos;t run. I had to take many weeks off running during my training cycle for Disneyland 2012 and it sucked. What I learned-I needed new shoes (solved my problems! ), the importance of a training plan and early morning running during Summers in Pasadena. I was doing training runs way too fast after a good Dumbo Double Dare. I wanted a sub 2:30 half at Rock n Roll LA. My shoes were fine but my legs were not. I had shin issues again as well as IT bands that resulted me having to take days off work because I couldn&apos;t walk let alone run. I also tried to add in too much cross training and it wasn&apos;t giving my body enough time to rest. I enjoyed LA Rock n Roll (which is why I signed up again this year, REDEMPTION!) but was nervous I would be able to run it because my leg issues. What i learned- I can&apos;t do speed work every week. Speed comes with time and I don&apos;t need to push it. Cross training is great but I have to pace myself. I slept wrong 2 nights in a row and I had IT band issues so bad I didnt think I would be able to finish the Christmas run but I did. What I learned- don&apos;t sleep on a couch! and make sure to roll and give my body rest. Honestly, since I have come around to Chi Running, I have not had injury issues! I am still cross training and have added in a bit of weight training, along with rolling and stretching and I am producing great times and am so happy with my progress, especially in the last 6 months. Ive also realized the importance of rest days-they really do work wonders! Many people believe runners, have to be injured. Not true! Take care of your body and you to can be injury free! What injuries have you had? What do you do to prevent injuries? Tink half 2012-Me meeting the man that changed my running! GSC 2014- I felt completely fine and not tired after-hopefully I will feel that way after Dopey!! Work has been insane (and still is insane for the week) so I have been SWAMPED. I tried to get in as many workouts as possible and I feel like I did the best I could since I logged about 50+ hours of working over the week! ** all days I did the 30 day ab challenge and loved it. Hopefully I will have better abs by the end. As you know by now, i had a great race st the Culver City 10k. I always like to set goals and then review them so let's get to it! A (my dream! ): under 1:05 -rocked this one harder than I ever imagined! I stuck with my plan and are pretty clean with fruit, veggies, milk and yogurt, eggs, cheese and of course tea and water. I definitely should have had more water because the heat of the day snuck up on me! as I talked about here, I stuck with this pretty well! Had my favorite breakfast and lots of fruits. And had my pre race breakfast. Work was killer so I only got in 2 2.2 mile runs but I made sure to take them slow. Even though I felt like I was going slow, I actually averaged 10:49 pace. Glad to know that's my slower pace now. Stuck with the plan on taking a shot blok or 2 and then a clif shot at the half way point and it worked well! Definitely rolled and stretched every day but the stresses of work made it almost impossible to do this as much as I had hoped. I spent about 20-30 min rolling and stretching the day before the race. Definitely added this back in and it definitely helped! I didn't do as well as I would have liked. I was really looking for 8 hours and averaged around 7 but since work was crazy, I'm happy I got that much in. I've been trying to make it up all week. I had 2 beers on Saturday and they were refreshing. I was so paranoid about being dehydrated, I drank a ton of water which helped a lot I think. I'm thinkig there is something to this a drink or 2 the day before the race! Overall, I would give myself a B for satisfying my goals. I definitely think it all helped me to have a great PR. Get on track with Dumbo training (I'm officially joining the training plan this week) and try to increase my running speed and strength. I have a 5k in Sept which I would love to finish in sub-30 but it'll depend on the course. I may also try and run it straight (or just a few walk breaks). I also want to run a 2:17 at rock n roll LA. It's out there in the universe! It's my taper for wine and dine and avengers as well as the middle of dopey training so I should feel strong. Do you set goals before your races? Culver city 10k Prep-Carb loading! So culver city 10k, where i PRed by over 4 minutes! WOW! So the race itself was very nice:honestly a perfect small town race. Easy to get to, easy to navigate and a flat easy course to run. I will write another post reviewing my goals I set last week but in the mean time let's talk about the most important part: CARBLOADING! I realized after my Christmas 10k last December that even though it's a 6 miler, I need treat the race like I do a half and start forming a normal routine of tapering, rolling and stretching and Carbloading. I did with the Great Race 10k and I did it again here for great results. By adding in carbs to be able to push through and fuel (I only use fuel in training on runs longer 6 miles), I can really go the distance! As always, the loading of carbohydrates needs to start at least 2 days before the event so you can get maximum carbs in before the race. The night before is too late! All week I added in a banana a day and a lot of berries. I began my CARBLOADING on Friday. I had grilled cheese and tomato soup for lunch and my favorite Souplanation for dinner (I have a full post planned soon for my obsession with Souplanation). Saturday I kicked it into gear. I had my favorite day before race breakfast of a pumpernickel bagel with sun dried tomato cream cheese and coffee with added sugar. Ralph had a plain bagel and cream cheese (BORING!) but he loved it. I finished cleaning my house and headed over to DSW to check out shoes and then headed to Mallory's so we could go to check in to get our bibs. Traffic was insane as usual but I picked up Mallory at 1215 and we wre getting our bibs at 1230. In and out. No fuss! We got a cute shirt as well and off we went to trader joes to grab stuff for dinner and also lunch. We got some carnitas to share and I also got a Mediterranean spread that had pita bread and hummus, tabbouleh, and falafel. So good but probably too much fat before a run but whatever because all of the carbs were delicious!! we made a nice easy dinner of steak, corn, salad and a bit of dessert. It was delicious! Watched another movie then called it a night. When we woke up the next morning, we both had stomach issues-blah. I think it was the combo of beer and popcorn but I powered through. I had my typical pre-race breakfast of oatmeal with raspberries, banana, bit of peanut butter and English breakfast tea! I had a shot blok before, clif shot during and a blok after that. I think I over did it with the fuel but I liked the result I got! Afterwards I used carbs as a way to recover with chips and rice at brunch and rice and veggies at pei Wei for dinner! I continued the carbs until the next day and have finally tapered back off to my normal levels. Overall, I am happy with my carb intake before and after the race. I think I overdid it during. Next time I plan on cutting back to make sure I don't have stomach issues when I finish (it's the first time I haven't felt fine after a race). How do you carb load before races? Gotta love grilled cheese and homemade tomato soup on a Friday! Up at 7am(7.5 hours of sleep! What what!) and got ready. We didn't need to leave the apartment until 745 so we had a lot of time which was awesome! I got dressed and made breakfast. This is the first race I have used oatmeal as a base and it was awesome! Can't wait to do it again. I had English breakfast tea, oatmeal with raspberries, peanut butter and a banana and also a few sips of Gatorade as well. I was full yet satisfied. We left at 745 and the sun was already out which was a bummer! It had been June gloom all week until about 10 but not today. It got warm very quickly. It took us about 10 min to walk and then we waited in a long porta potty line but walked over to the start like at 820 for the 830 start as the fast 5k were finishing it was amazing! 19 min 5ks are awesome! We did some last minute stretching and got everything ready to go. The mayor did an introduction and off we went! I took 1 shot blok while the mayor was talking. My plan was to take a clif shot at the halfway point and then anything else if I felt weak. I set out with the idea to pace 10:49 miles and try and push my speed. There's a bit of congestion at the start of the course but I was able to escape and get into my groove. I did an interval of 2:30/:30 and saw everyone start off too fast per usual. It was warm and sunny so I knew I would need to conserve energy for later on. The course was 2 5k loops so I wanted to take the first loop slow and then use what I learn in the first loop to my advantage In the second. I felt like I was going so slow but actually had good speed. we started the turn around and were in the shade and felt much better. I grabbed 2 water cups at the first station as I could tell it was getting warmer. I could feel I was getting into my groove and could tell my legs were feeling good. I could tell my pace was great and needed to find out what my 5k finish was so I have an idea of how much I could push in the second half. My 5k was about 32 minutes so I knew I could stay the same or push a bit harder, I would be in good shape. The clif shot and the music had me PUMPED. I realize I can definitely PR and probably break 1:05. At the turn around point, I know I will be good as the finishing part is in the shade. I was able to take the short lines on the course (inside turns) and shade to conserve whatever energy I could. I do the math and realize I will break 1:05! I have to take slightly more walk breaks (quick 5-15 sec) as it is hot and I'm pushing myself pretty hard-which is why this is a much slower mile than before. I take part of a shot blok and feel better and just know I need to hang on and I will do great. Almost done! I actually grab water and walk through the stop (most other ones I jogged through) and I know on so close to be done but not sure of my time. There's no clock! I freak and check my iPod and it says 1:02:50! Wtf? Is this correct? I immediately tear up. I can't believe I just did that! I also was insanely dizzy when I was done. I really pushed hard and I felt it. I thought I may pass out so I grab some water and my medal and some chia water and a snack and sit under a tree. My legs burn like never before. I ate a bit and felt much better but I was drained. It's literally the fastest I have ever run in my life. My soreness equals what I typically have for after a half. But I did it! I wait for Mallory and then get official times. 1:02:46! HOLY CRAP- IS THAT REAL LIFE? An over 4 minute PR from my last race (1:07:09 was my old PR but that was done on crazy hills). Then we watched the kids races which was the cutest thing ever! We walked home, shower and walked back to have an amazing lunch at kayanddaves-Mexican food may be a new calling after a race! They also had menu specials for runners so we had to get 5 dollar mimosas. My body was craving salt (they only had water stops on the course) and I felt so much better. We ran more errands-home depot, Target (they have buy 1, get 1 50% off all C9 gear! ), did a bit of work and went to see 22 Jump Street. all in all, it was a great race and a great day! I will write a bit more later about my pre-race day how I think it helped and hurt me but no matter what, a new PR is in the books! I could not recommend this course enough. A great cause as well as a good price (35 bucks! ), a flat course and great people! I didn't mean to match the medal!